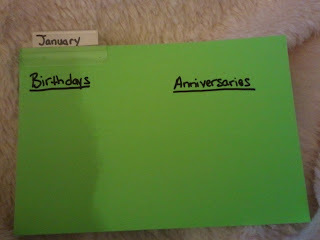 For years my Mom has used a large calendar and written something on every day of the year. The weather, who visited, etc. When I came across this pin, Mom was the first person that popped into my mind. I loved the idea but not the the look. So the wheels in my head started turning. Another pin was going to come into play for this project. 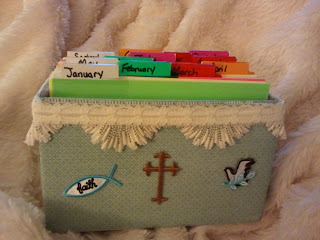 Homemade ModPodge! Sadly I didn't take pictures as I went along. I guess just in case it didn't turn out. I found a small box that I had around the house. Then I found some pretty paper. I started measuring and cutting. I had to cut the box down to fit. Duct tape is great because you can ModPodge right over it. Plastic tape doesn't work because the glue beads off from it. 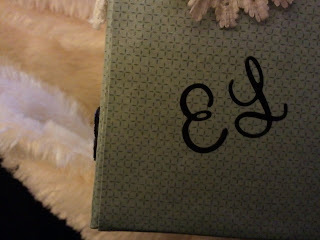 I put a layer of modpodge on the box, then the paper, then another layer of modpodge over the paper. I did it over a matter of days, letting each side dry as I went along. After the box was completely dry I took it outside and sprayed one coat of polyurethane on it. Inside and out. So far so good. 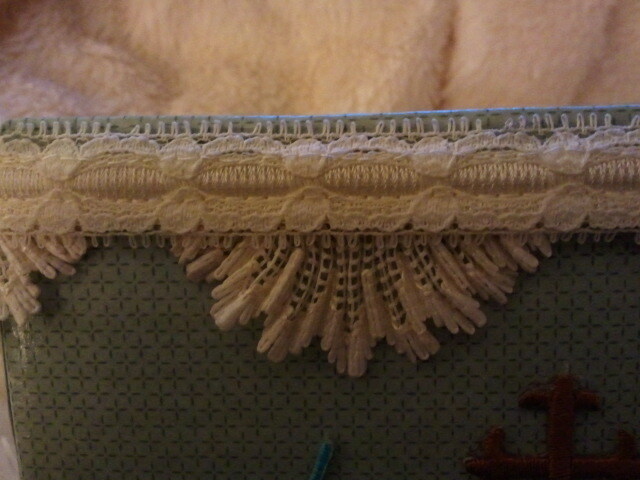 I had a piece of lace in one of my craft drawers. It had been there for a long time. Just a scrap but very pretty. I had no idea what it would ever be used for. Until now. I had to stretch it pretty tight but it did go all the way around the box. I hot glued it on the box along with some other sew/iron on embellishments. 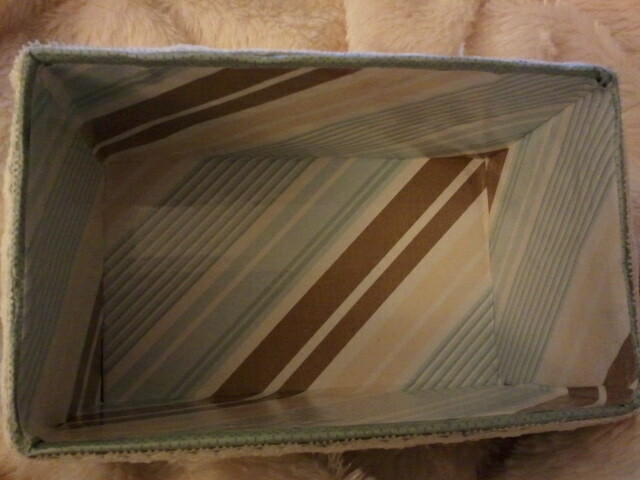 The box was done. In between dry times on the box I was working on the cards that go in the box. This was actually the hardest, most tedious part of the project. I used 4x6" lined recipe cards. I did not cut them down. I wanted there to be plenty of room to write on year after year. 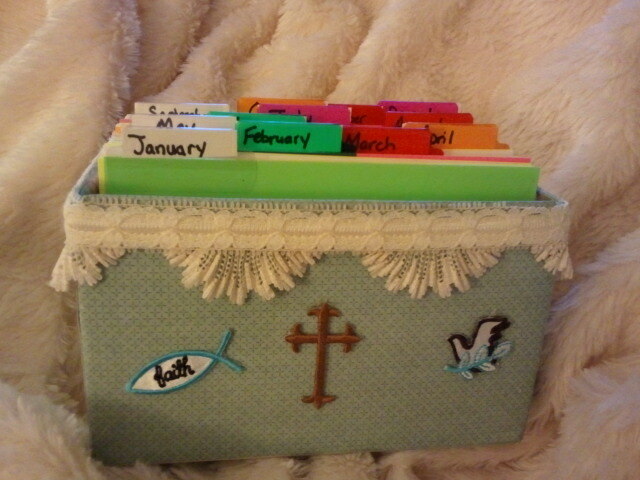 I used plain colored cards for months and stick on tabs. On each month card I made a column for birthdays and anniversaries. I waited patiently for the box to dry. Then I put the cards in. They were a perfect fit. (I was worried that after the layers of paper and glue it would be too small. I pinned something like this a while ago, but never got round to making it. 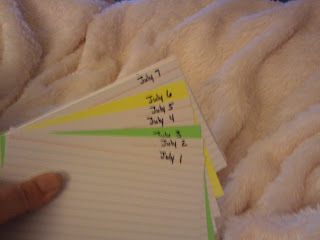 The 5-year journal is what initally grabbed my interest, but I am not paying for something I could make! 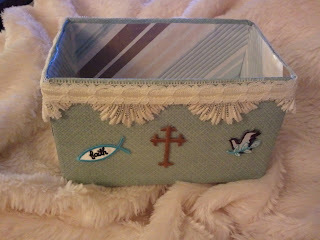 Your box turned out beautifully, thanks for the renewed inspiration. You're very welcome. I still have to get around to making myself one. I really love the idea too. I just know that my Mom will use this one, I don't have as much faith in myself. What a great idea. I just pinned your post...I think my own mom would really enjoy this too. She loves DIY gifts in general. Hi Lauren, thanks for stopping by. I think they do make wonderful gifts for Mom's. Let me know if you make it and how your Mom likes it. Cherries, cherries and more cherries! Pinterest-Fool Proof Mayo-Or is it?